A new book records the stories and experiences of some of the many Indigenous people who travelled to Britain and other parts of the world in the late eighteenth century and during the nineteenth century. Their trips were undertaken for various reasons, including missionary work, education, performing, and advocating on behalf of their communities. On their voyages they were received with curiosity and often as celebrities, sometimes speaking before huge audiences and meeting with royalty and leading figures of the day. But their journeys took place at a time when humanitarian perspectives were mixed with colonial and assimilationist policies. In Cecilia Morgan’s Travellers through Empire: Indigenous Voyages from Early Canada we find people such as Peter Jones (Kahkewaquonaby) and George Copway (Kahgegagabowh), members of the Mississauga people of Upper Canada who were also Methodist missionaries as part of a nineteenth-century global missionary movement. We also read about Jones’ niece Catherine Sutton (Nahneebahweequa). After several moves by her family and other Indigenous people, they were denied access to their lands. Sutton was selected to represent them by travelling to London — where she was received by Queen Victoria — and her family was eventually allowed to buy back their land. He did, though, characterize the English as very fond of “novelties” — no nation, in fact, was as taken with new things. Here, Jones displayed an acute awareness that his appearances in Britain were performances staged and enacted before an audience, part of the theatre of both the missionary and the British colonial worlds. “They will gaze and look upon a foreigner as if he had just dropped down from the moon: and I have often been amused in seeing what a large number of people, a monkey riding upon a dog, will collect in the streets of London where such things may be seen almost everyday.” Jones went on to hint at the tensions he faced. “When my Indian name is announced to attend any public meeting, so great is their curiosity that the place is always sure to be filled; and it would be the same if notice was given that a man with his toes in his mouth would address a congregation in such a place, and on such a day, the place without fail would be filled with English hearers.” Jones’ causes might benefit from the attention paid to him as an “Indian,” but he was acutely aware that his audience might see him as both a celebrity and an exotic spectacle in a theatre of colonial attractions, one whose novelty might wear off as other, even more exciting, representatives of “otherness” appeared. Peter Jones (Kahkewaquonaby) in Ojibwa clothing. Catherine Sutton (Nahneebahweequa) circa 1860. George Copway (Kahgegagabowh) circa early 1860s. Far from being helpless, Catherine Sutton had been wronged and was determined to right that fact. After leaving his lodgings from Randall’s Hotel in Cheapside in favour of Hanover Square’s much quieter (and likely more elite) George Street, Copway found “an abundance of cards on my table. O fie, fie: these English will spoil me.” Gambardilli, Dr. Wiseman (quite likely the Roman Catholic cardinal), E. Saunders the “celebrated dentist,” and Lady Franklin and her brother, Sir Simpkinson: all extended dinner invitations, which he was happy to accept (although he was left exhausted by them). Upon his return to London, Copway feared he would disappoint his many callers. He was running out of time in London and, as well as receiving numerous letters and cards, also had invitations from two committees who wanted him as a speaker. While it is difficult to determine whether all these meetings took place, the political and social concerns of many of these individuals makes it quite plausible that they would be sympathetic to and curious about the “Ojibway chief” who was so concerned about the well-being and advancement of his people. 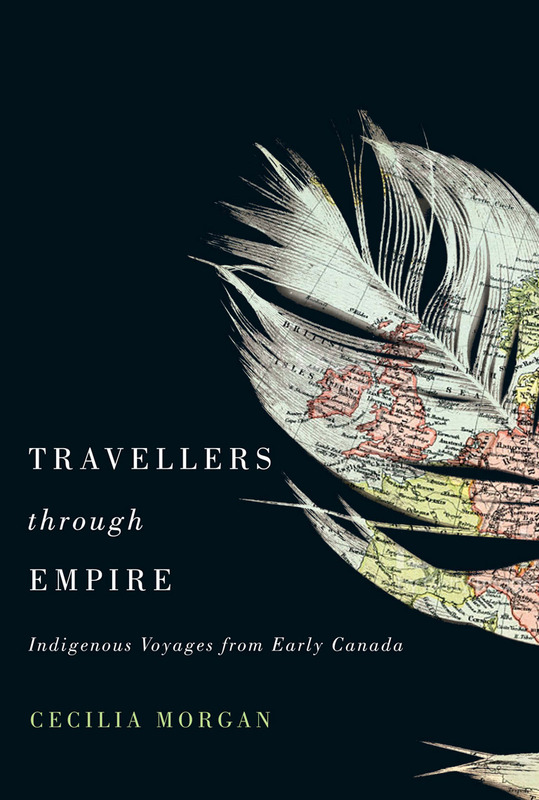 From Travellers through Empire: Indigenous Voyages from Early Canada, by Cecilia Morgan. Reprinted with permission of McGill-Queen’s University Press. This excerpt originally appeared in the February-March 2018 issue of Canada’s History magazine.